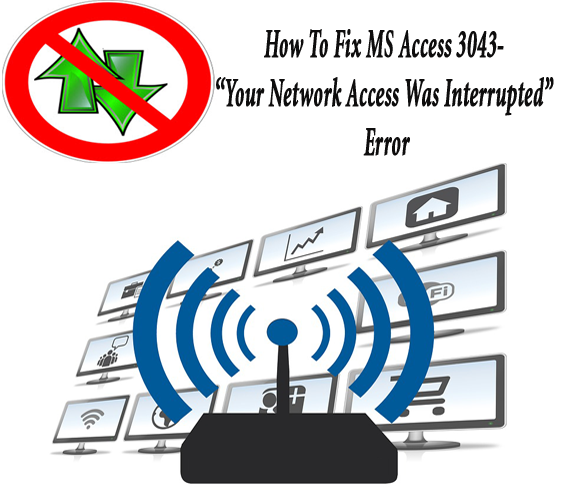 Summary: Looking for the fixes to resolve MS Access Error 3043 which displays error message like “Your network access was interrupted. To continue close the database and then open it again”? 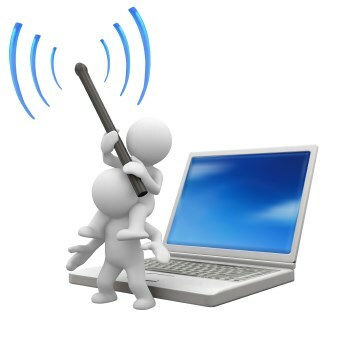 If yes, then don’t go anywhere as here you will get the most suitable fixes to resolve this issue. Access Database Error 3043 is basically an error message that shows “your network access was interrupted”, which means that your network went out of track and to continue properly close the database and open again. Error may occur to any operating system irrespective of version such as Windows 8, windows 7, windows Vista, Windows XP, Windows ME and Windows 2000. I am hoping this is a problem with the database itself, as I am not responsible for the server. Does anyone have a definitive solution? This particular Access 3043 Disk or Network Error with Data Access Objects results when you run multiple instances of one visual basic program or you run multiple programs, and all instances or programs does access on the same database. If the program doesn’t explicitly close all the data access objects then the error will again comes when the second instances of the program tries to work with a data access objects. The active program Window crashes when error 3043 occurs. Sometimes PC also crashes because of the error 3043 while running the program. Displays “your network access was interrupted”. Windows turns incredibly slow and responds slowly to the command of keyboard and mouse. At time PC freezes for few seconds. The error 3043 displays on the screen during the installation of program, during Windows start-up or shut down, at the time of running of Microsoft Corporation related program, and even during the OS installation. To keep the track of when and where your 3043 error occurs is important for easily troubleshooting them. ALSO READ: How To Fix “MS Access is Not Responding “ Error In Access 2010/2013/2016? Incomplete installation or corrupt download of MS Access Software. Windows registry corruption from a recent MS Access related software change. Corruption of Windows System files or MS Access files due to virus. Maliciously or mistakenly deleted MS Access related files. Close all the access objects like tables, dynasets, snapshots, and databases explicitly. Run the following closing statements before the programs ends. If you put the .Close methods in the Unload or QueryUnload events, make sure that you have invoked these events before program ends by using the Unload statement (for example, Unload Me). While using the End statement, do it with attention; as it does not invoke the Unload or QueryUnload events. And while holding CTRL-Shift on your keyboard, hit ENTER. In the Registry Editor, select the Error 3043-related key that you want to back up. Select Export from File menu,. In the Save In list, select the folder where you want to save the Microsoft Access backup key. In File Name box, type one name for your backup file, such as “Microsoft Access Backup”. In the Export Range box, make sure that “Selected branch” is selected. You now have a backup of your Microsoft Access-related registry entry. There is small chance that your 3043 could be related somewhere to malware infection on your PC. These malware infections can damage, delete or corrupt the Runtime Errors-related files. There is even a possibility that Runtime Error 3043 Your Network Access Was Interrupted you are experiencing is result of a malicious component. Windows System Restore let users to “go back in time” to help Pc fixing Runtime error 3043. System restore can turn back the system files back to normal like it was before showing error. ALSO READ: How To Fix MS Access Run-time 3146 ODBC Call Failed Error? Note: System restore will not affect documents, videos, pictures and other data on the system. Type “System Restore” in search box and press Enter. Choose System Restore from results. Enter any password for administrator when asked. Follow the steps from Wizard to choose restore point. Windows System files are improving frequently that could be affected by Error 3043. Sometimes resolving your runtime errors can be simple and can be solved just by updating Windows with latest service pack. So always keep on updating and installing Windows updates. If you are affected with such error and all efforts are going in vain then simply reinstall Windows OS, it will erase everything from hard Drive, so it allows and your system will start in a fresh way. Even after doing everything stated above, if you are not able to solve the error or any other issue related to MS Access then simply go for tool MS Access Repair n Recovery Tool that can help in recovering from any kind corrupt or damaging issues. Step 1 – Install the software and launch it. Now select the corrupt Access file for Repairing. Step 2 – The software will show you the list of searched files in a drive. Select the file that you want to repair and click on Repair button. Step 3 – The repairing process will get started and you see the log report for analysis. Step 4 – Once the repairing process completes click on “OK” button to see the preview of the file database objects. Step 5 – You can now preview the repaired file. Step 6 – By default the software will save the repaired file to the location where the corrupt database is saved but with a new name. You can also select different location. Step 7 – Your saving is in process. Step 8 – Saving completed.